Computech Technology Services - Professional Onsite Computer PC and Printer Repair, Network, Voice and Data Cabling Services. Commercial Office, Retail Point of Sale, Full Business Technology Solutions in Florida (FL). Providing Complete Onsite Computer Repair, Network and Voice and Data Cabling Services Throughout Florida. Florida’s Top Choice for Professional Onsite Technology Services. Computech Technology Services provides professional onsite computer repair, network, and voice and data cabling services across the entire state of Florida. With over 300 technicians located throughout the region, from major metro areas like Jacksonville, Miami, Tampa, St. Petersburg and Orlando to smaller regions like Hialeah, Tallahassee, Fort Lauderdale and Port St. Lucie and everywhere in between, we have you covered. Our local Florida onsite technicians are experienced, industry certified pro’s ready to tackle any onsite technology service need you may have. From professional installations, configurations, troubleshooting and repairs of PC hardware & software, MFP printer and forms handling to network router, switch, firewall, wireless wifi, and PBX and VoIP voice services, we have all of your onsite technology needs covered, quickly and professionally. Our technicians are not brand dependent and they carry a multitude of certifications for a wide variety of PC, network, and printer makes and models, so you can be certain that our technicians are experienced, well rounded professionals familiar with your equipment, and fully capable of performing any service needed to get it back up and running like new. Our technicians are experienced with commercial technology services as well, from point of sale and kiosk to digital media display systems, back of house servers to commercial voice and data inside wiring, we have all of your commercial technology needs covered. From direct small business and corporate onsite support to white label smart hands support for MSP’s, our onsite technology services throughout Florida are simply best in class. Give us a call today and find out why so many business and residents in Florida rely on our onsite computer repair, network, and voice and data services to keep their technology up and running like new! (859) 780-3020. Professional Onsite Computer Repair Services Throughout the State of Florida. Our Local Onsite Technicians Come to You! Computech Technology Services provides professional onsite computer repair services throughout the entire state of Florida. Our experienced, industry certified onsite computer repair technicians can troubleshoot and repair literally any PC issue you may be having. We troubleshoot and resolve hardware issues like failed hard drive, motherboard, RAM, and CPU to software issues like Windows Operating System errors, system crashes, data backup and recovery, virus, adware, malware removal and perform PC optimization to get your machine up and running like new. Our PC repair techs are friendly, knowledgeable and available for same day and next day services. Our printer repair and forms handling technicians can troubleshoot and repair literally any type of printer issue you may be having. From maintenance kit fuser and roller replacements to diagnosing printer issues like no print, lines on page, and paper jamming, our professional, industry certified printer technicians have you covered. Our onsite technicians are also very experienced with business machines and retail technology systems, from point of sale PC and BOH server issues to pin pads, scanners, and receipt printers, our technicians are prepared to troubleshoot and repair your equipment, quickly and professionally. Our onsite computer repair and printer repair services are available for commercial and residential, direct to small business and enterprise clients, and available to MSP’s as an on demand white label smart hands service to provide onsite service coverage for their Florida clients. Give us a call today and find out why so many Florida businesses and residents rely on our superior onsite computer and printer repair services to keep their business machines up and running like new! (859) 780-3020. Florida Professional Network Installation, Configuration, Repair and Voice and Data Cabling Services. Superior Voice and Data Network Services Throughout the Entire State of Florida. Computech Technology Services provides superior onsite network installation, configuration, troubleshooting, repair and voice and data cabling services throughout Florida. Our experienced, industry certified networking techs can provide full installation for new networks, and troubleshooting and repair of existing networks. From configuration and troubleshooting of modems, routers, switches, and hardware firewalls to wireless wifi heat mapping surveys and PBX and VoIP installations, our pro network technicians have you covered, quickly and professionally. Our professional cabling contractor crews can perform full structured cabling installations from 1 to 1000 drops in new or old construction environments. Whether you need voice and data cabling repair, telephone or network jack repair, tone and tagging, or new low voltage inside wiring pulled to expand your growing network, our cabling technicians have it covered. From complete voice and data structured cabling installation (Cat5e, Cat6) to repairs on your existing network, our inside wiring technicians are industry certified cabling pros and can resolve literally any type of network cabling issue you may be having. Our network technicians are also experienced in commercial voice and data installation, configuration, repair and low voltage cabling, so regardless of the type of location you have, commercial retail, business office, hospitality, industrial, or medical services, we have the networking solution for you. Give us a call today and let us show why we are Florida’s top choice for network installation, configuration, repair and voice and data cabling services! (859) 780-3020. 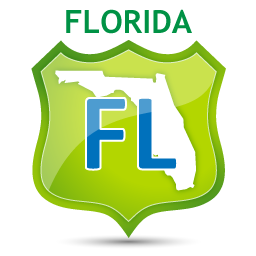 Florida Professional Onsite Technology Services Coverage. Onsite Computer Repair, Network, and Voice and Data Cabling Services Throughout Florida. Since 2008, Computech Technology Services has provided the absolute highest quality onsite technology services throughout Florida. With over 300 of our local Florida field technicians, completely mobile throughout all of the regions daily, we have an excellent service designed with our client in mind, to provide high quality onsite technology services, on demand, and pay as you go, so you only pay for services when and where you need it most. Our services are as simple as a phone call to schedule, and services can be scheduled for same day and next day onsite. It simply couldn’t be easier to get professional onsite PC, printer, and network services for your mission critical business equipment. Need onsite technology services? Give us a call today, you’ll be glad you did (859) 780-3020. *We also provide our high quality onsite technology services to the bordering states of Georgia and Alabama. Repairs for Phones, Tablets, Laptops, Computers, Smartphones and Game Consoles.